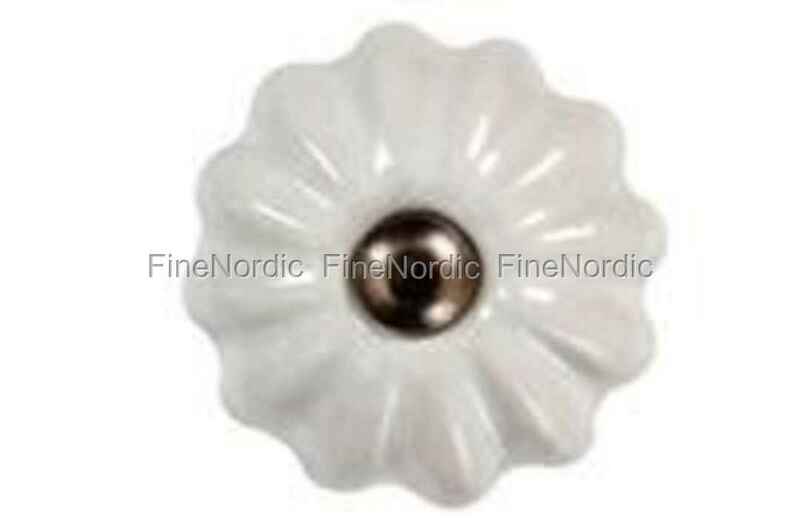 This La Finesse porcelain knob in white will jazz up an old commode, armoire, chest of drawers and more. Adding some goodlooking knobs to an old piece of furniture is an inexpensive way to totally change its looks. This white knob will look just as pretty on a drawer as on a door. It reminds us of a white flower and it will make it easy to open up your commode’s drawer or your cabinet’s door. If you like porcelain knobs, then also have a look at all the other ones we offer in our web shop.